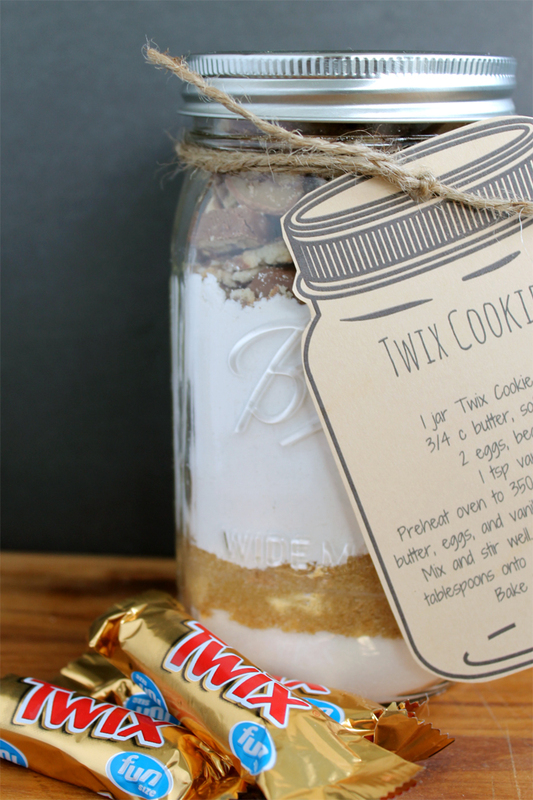 This Twix cookie mix in a jar makes a great gift idea or you can just make the cookie recipe at home. Either way, you are sure to love this super quick idea. Grab your ingredients and get started on your own gift in a jar today. Budget friendly gift ideas are something that I am always searching for and this one definitely fits the bill. Layer ingredients in the order given above. A wide mouth quart jar works best for these types of jar mixes. Pack in each layer well before adding the next ingredient. 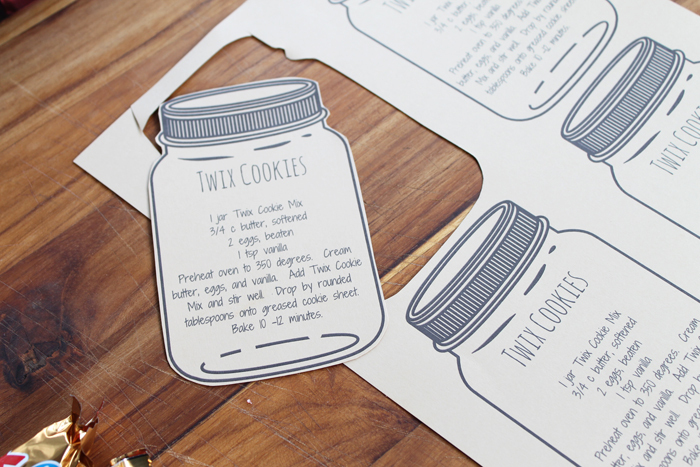 Print our gift tag with baking instructions by clicking here. Cut around the tag with scissors and punch a hole in the top. I printed mine on kraft paper to get a more rustic look. Tie the tag onto the jar with twine or ribbon. This gift is now ready to give! That was super easy right? 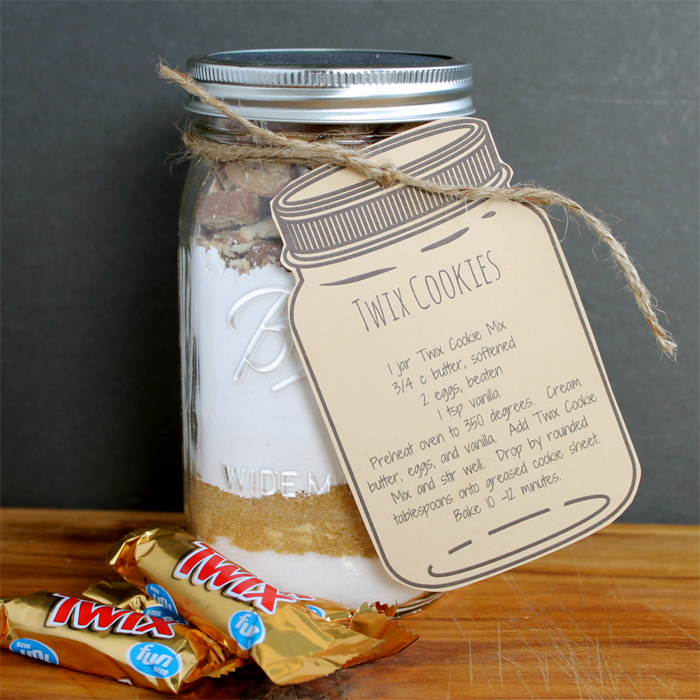 Don’t want to give a cookie mix in a jar right now? 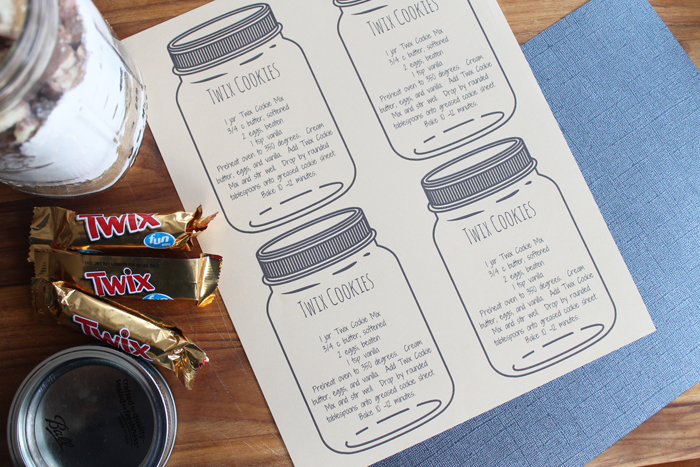 Well….you can bake up a batch of cookies in just minutes using the ingredients in this jar. Trust me…you will love them! Don't want to give a cookie mix in a jar right now? Well....you can bake up a batch of cookies in just minutes using the ingredients in this jar. Trust me...you will love them! Layer ingredients in the order given above. A wide mouth quart jar works best for these types of jar mixes. Pack in each layer well before adding the next ingredient. Preheat oven to 350 degrees F. In a large bowl, cream butter, eggs, and vanilla. 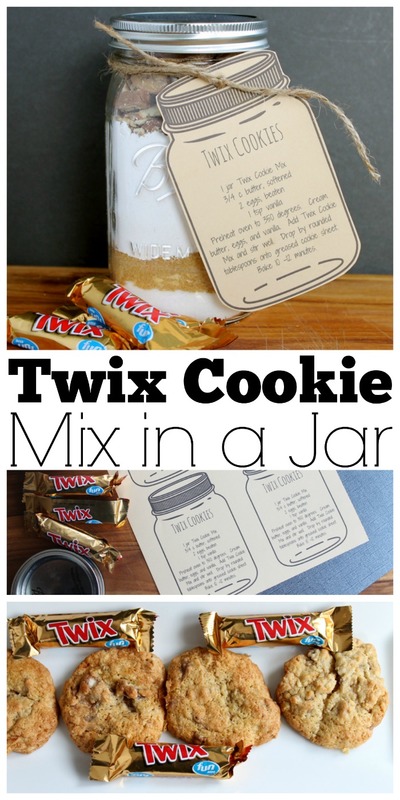 Add in the cookie mix in a jar. Stir until well blended. Drop by rounded tablespoon onto a greased cookie sheet. Bake for 10-12 minutes. ENJOY! 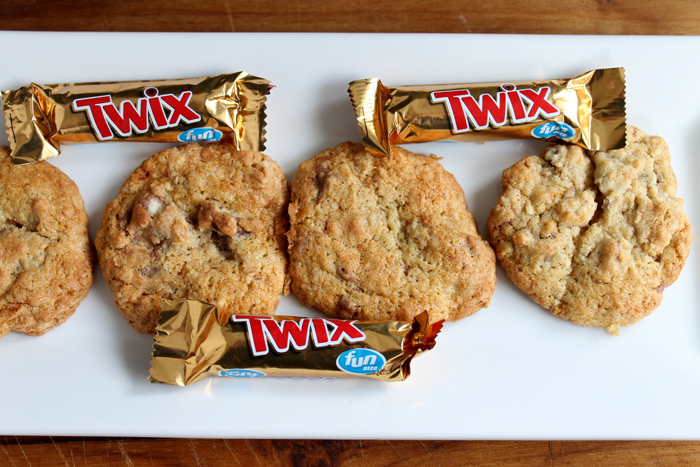 These have all that Twix bar goodness in a cookie! Who could ask for more?? 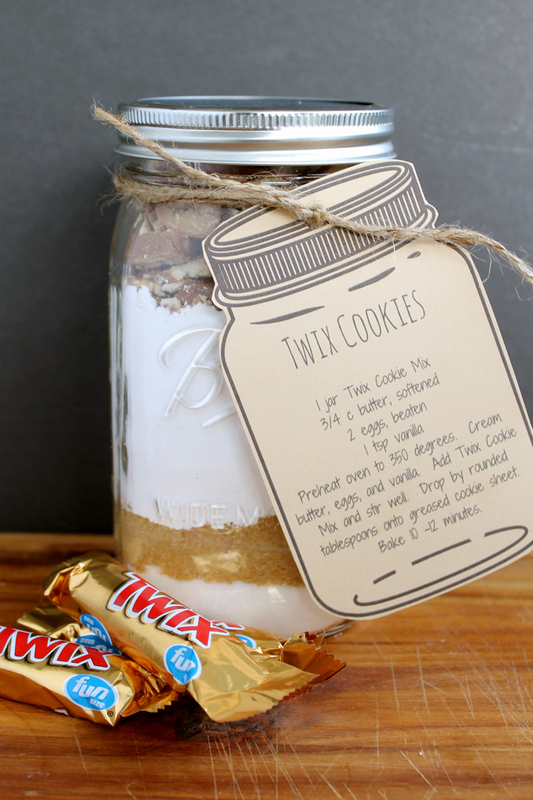 Make this Twix cookie mix in a jar for someone that you love. They will love being able to make fresh, homemade cookies in minutes. There is nothing like cookies right out of the oven y’all! In a large bowl, cream butter, eggs, and vanilla. Add in the cookie mix in a jar.Stir until well blended. Drop by rounded tablespoon onto a greased cookie sheet. Need more ideas for gifts in a jar? Try these! previous post: DIY Clay Cactus that ANYONE can make! next post: Painting Toy Wood Instruments – a gift idea! 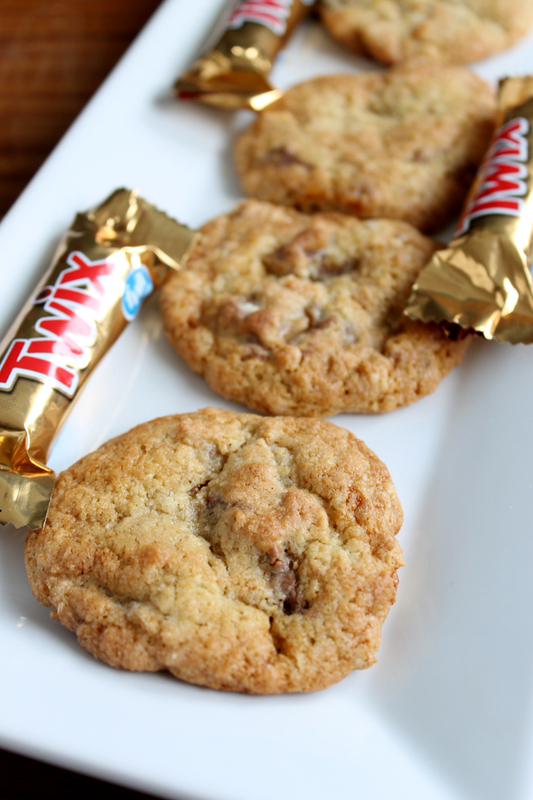 I love twix bars so this recipe is definitely calling my name! Thanks for sharing this at the DI & DI Link Party! Twix bars are one of my favorite candies! This would make a great gift idea any time of year. Thank you for sharing at Merry Monday! What a cute gift idea! Thanks for sharing it with us at Funtastic Friday!